South East Governance Network (SEGON) is sad and shocked by the apparent concerted effort made by the Independent National Electoral Commission (INEC) and its staff to sabotage the gubernatorial election held in Anambra State on the 16th of November, 2013. Contrary to the pre-election pronouncements and claims by INEC, it turned out that the commission was not prepared to conduct a crediblegubernatorial election in Anambra State. 1. Most of the polling units opened after 9.30am as against the 8am announced by INEC. The delay was notably worse inIdemili North, Idemili South, and Ogbaru Local Government Areas. 2. Many of the voters could not find their names on the voters register in the polling units where they voted in 2011 General Elections. This was worst in Idemili NorthLocal Government Area. This calls to great question the integrity of Nigeria Voters Register. 3. INEC deployed adhoc staff without original copies of election result sheets. And some INEC adhoc staff were most unprepared and unprofessional in their conduct of the election. 4. Some shameless political actors and their agents did make effort to bribe the voters (buy votes) in favour of their preferred parties and candidates. 5. The law enforcement and security agencies deployed for the election conducted themselves reasonably well. 6. The good people of Anambra State conducted themselves peacefully despite the obvious provocation occasioned by the transparent incompetence of INEC and its staff. SEGON notes that INEC constituted the weakest link in the conduct of the election. And that the glaring incompetence of INEC and the lack of credibility of the Voters Register which it warehouses have emerged as some of the greatest security threats facing Nigeria as it matches towards the 2015 General Elections. 1. Call on INEC to radically and urgently review and reform its systems and processes, including an immediate effort to salvage the integrity of the Voters Register, with a view to making the needed improvements in its capacity to conduct elections. 2. Call on the law enforcement agencies to investigate and prosecute all those involved in vote buying and other electoral offences including INEC staff. 3. 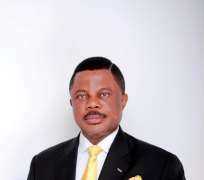 Call on the good people of Anambra State to remain peaceful and law abiding, and support the lawful resolution of the controversy generated by the poor conduct of the election. For further information, SEGON can be reached at; 08035927419or 08033582275.